Hello and welcome! Susie hosting the blog today! 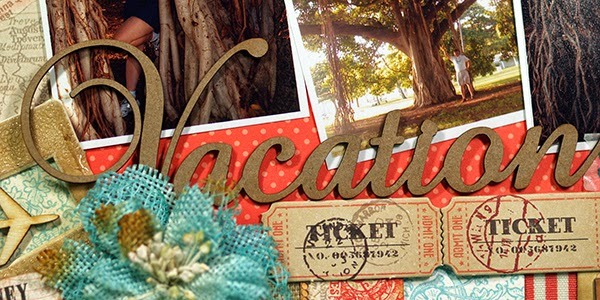 I am sharing a vacation themed layout I created using the June Club Q kits! They are fabulous and feature my absolute favorite line from Quick Quotes - Baggage Claim! I took my kits apart, mixed everything together, added a few bits from my stash and started playing! You can see that I made good use of all the pre-cut banners, flipping half of them to show both sides. I created some extra banners with the wonderful ribbons in the kits! I popped up a sentiment from the Baggage Claim Die Cut Stickers. One of the next things I touched was a white plastic slide frame - but it didn't stay white for long! I applied a nice coat of Java PowderPuff Chalking Ink. I was concerned that the ink might rub off of the slick surface so I decided cover it with a layer of clear embossing powder. As you might expect, the heat started to melt the plastic slide as it also melted the embossing powder. I watched carefully and stopped the process when I was happy with the result! I backed it with some paper and added a wood veneer airplane from my stash. Here is a close up - I love the texture! 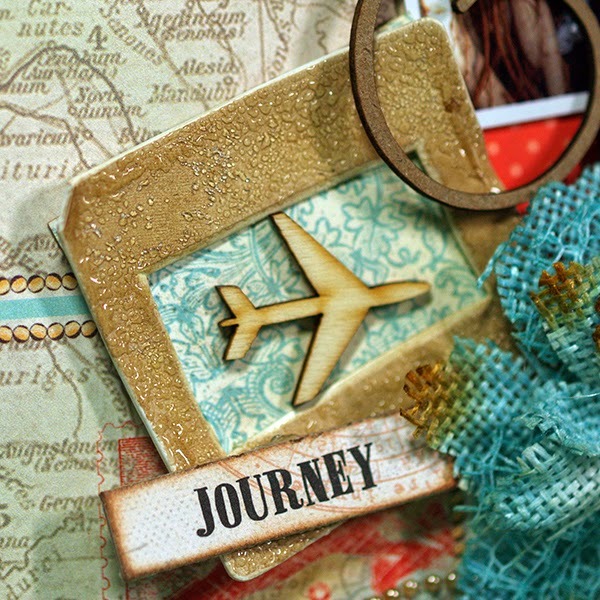 The kits also contains the Baggage Claim Chipboard Die Cuts. 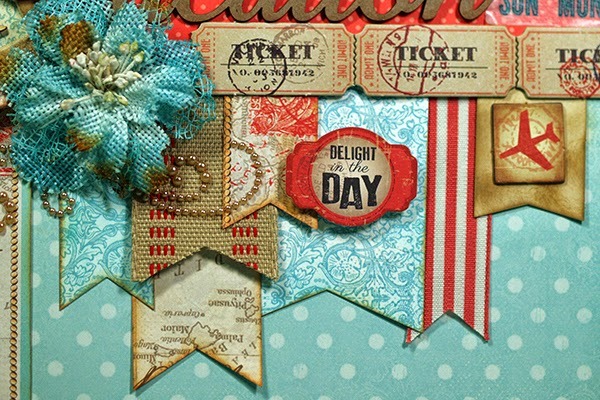 The chipboard tickets, applied together in a strong horizontal line, make a nice topper for the banner and a nice base for the title. I used a chipboard word for my title and decided to leave it plain because the color works so well with the papers. I created a small banner for the upper left hand corner and topped it with another piece of Baggage Claim Chipboard. 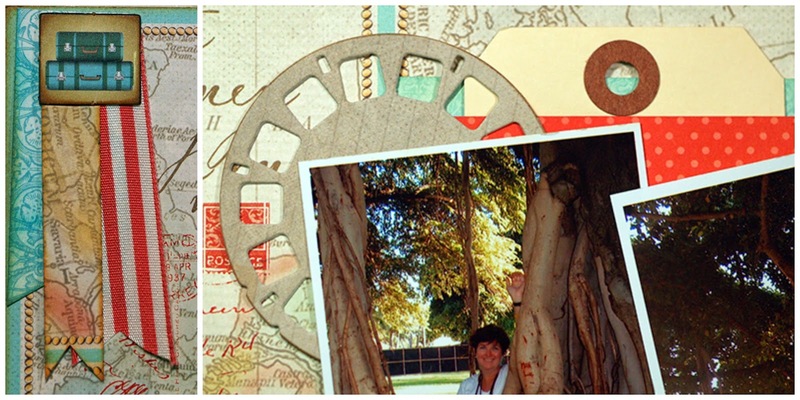 I die cut the view finder from paper in the kits and tucked it behind the photos along with a tag for journaling. 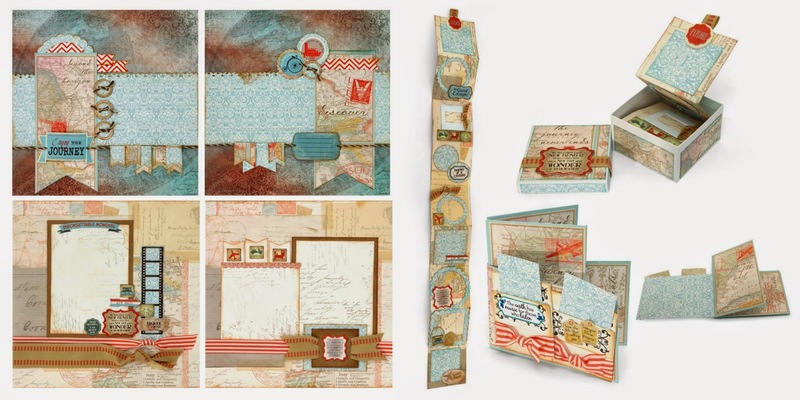 I loved playing with these kits and I still have tons of paper, pre-cut elements, ribbon, and die cut chipboard & stickers left for other projects! Baggage Claim is perfect for scrapping all of your travel destinations. Thanks for visiting Quick Quotes and I hope you find some time to play today! awesome layout, I love that technique you used on the plastic frame, great idea! Really pretty layout! 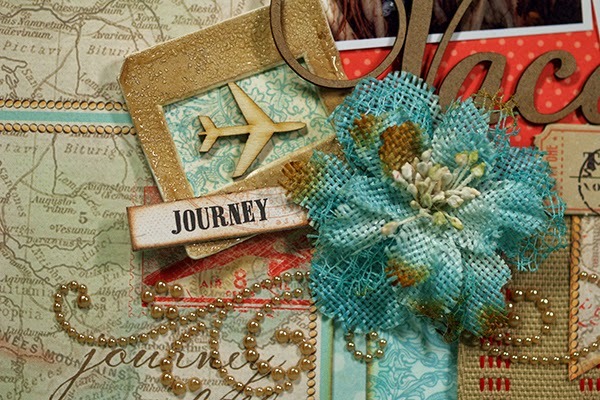 Love all the papers from Quick Quotes and how you used them!